We took the ferry along the gorgeous Geirangerfjörden in Norway. 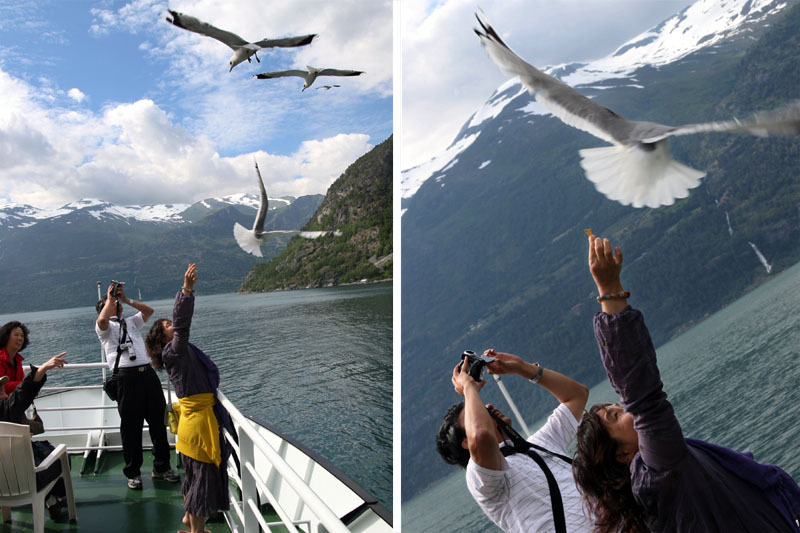 The boat was full of tourists coming from all part of the world and the seagulls were looking for tourist food. I will post you later some pictures of the fjord. Enjoy !